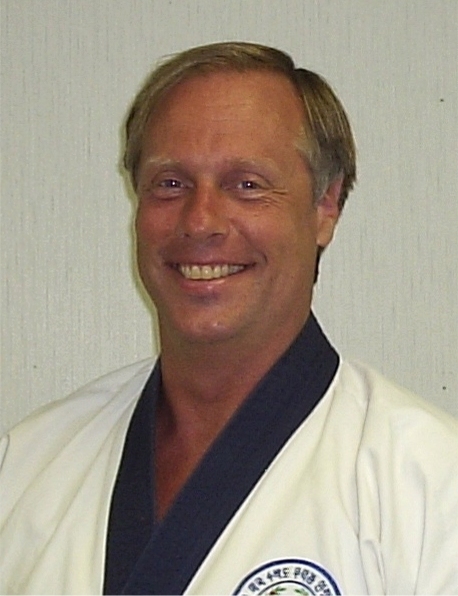 Sa Bom Nim Jim Harwood is a Certified Studio Owner, TAC Appointed Regional Examiner in Region 1 and he serves on the Board of Directors of the United States Soo Bahk Do Moo Duk Kwan FOUNDATION. In 2012 he organized and hosted a very successful kick-a-thon that helped exceed Region 1's fundraising goal for 2012 and he is making new plans to achieve 2013 fundraising goals. Sa Bom Nim Steve Lemner in Region 5 also hosted a successful kick-a-thon. At the 2013 National Festival and Dan Leadership Convention Sa Bom Nim Harwood presented an informative and educational seminar in which he shared some key information about hosting an exciting and rewarding kick-a-thon that students, parents and the local businesses and community supporters to be part of while achieving fundraising goals. One point he emphasized during his seminar was for the organizer of the kick-a-thon to take extra time and carefully go over the sponsor pledge sheets with students and parents to answer any and all questions about the kick-a-thon and to make sure they understand what they need to do and how to fill out their Sponsor Pledge Sheet. Students, Studios and Regions can also activate personal online fundraiser pages at www.mykickathon.org so their sponsors and supporters can submit kick-a-thon donations online. He indicated that spending extra time performing the educational task about how to solicit and record sponsor pledges was an excellent investment in the success of the kick-a-thon. Additionally, once the students and parents understand what they need to do between the day the kick-a-thon is announced and the day of the event, things proceed without much additional intervention by the organizer. Students will receive a customized donation collection envelope along with their sponsor sheets. It can also be beneficial to suggest to students and parents that they ask their employers if they may have a donation matching program which could double the amount of a sponsor's donation to a Kick-a-thon. Sa Bom Nim Zickafoose's experience with an employer matching donation is covered in this article. The actual Kick-a-thon event may take only an hour or two and will be most exciting and memorable if it is very high energy and fun, so that students and parents all leave excited and asking when the next kick-a-thon-will be held. Following up with sponsors and awarding prizes promptly is also important to keep morale high and to bring professional closure to the kick-a-thon. Prize winners will be identified when the kick-a-thon is over and their T-shirts and other prizes will be promptly awarded when studios and regions submit Kick-a-thon results to National Headquarters. 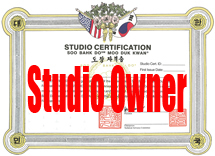 All Certified Studio Owners will receive information packets, a supply of sponsor pledge sheets, a signup poster for display in studios and a sample Kick-a-thon t-shirt. Sa Bom Nim Harwood has also prepared a brief educational video explaining and demonstrating how he conducted their kick-a-thon which you can watch below. We look forward to learning of your kick-a-thon results and awarding prizes to all the top fundraisers! Promote student and parent awareness of your kick-a-thon with the signup poster shown below and sent to Certified Studios in the Kick-a-thon packets. 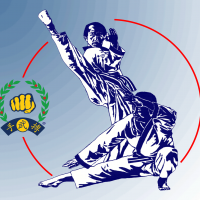 All Certified Studios, Teaching Programs and Federation Officials have been shipped a Kick-a-thons for the Moo Duk Kwan packet containing all the necessary forms, a poster, a sample t-shirt, prize descriptions and an explanation of 2013 fundraising goals from the Board Chairman. 10/25/13 Institute Admin replied to Phil Duncan's comment.